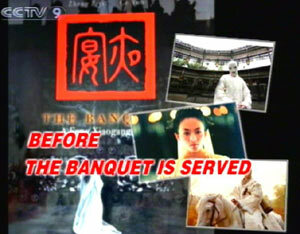 Zhou Xun: The Banquet ! A twenty-minute trailer for "The Banquet" was unveiled last week at The Cannes Film Festival. 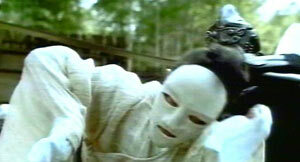 The historical epic was directed by Feng Xiaogang, who makes a radical switch of genres. Since it is still four months away from general release, let's get a sneak preview ourselves, and see what the buzz around "The Banquet" is all about. The trailer has hung the critics on a tether-hook, with its incomplete telling of a story packed with desire and deception. Meanwhile, promotional stunts and rumors outside the theater are also generating waves of curiosity. Let's sample the courses that make up the "Banquet". Known as a commercially-minded director, Feng Xiaogang can't be ignored in movieland. His comedies are saturated with black humor and social innuendo. Feng's films have received rave reviews, and gained robust box office returns. But he now turns his gaze to period plays, the first of which is "The Banquet". The director revealed his inspiration, an ancient Chinese painting titled "The Evening Banquet of Han Xizai." It's a piece of art from the Five Dynasties and Ten Kingdoms period, over 1000 years ago. The painting shows the deliberate extravagance of scholar Han Xizai, who bears a grudge against the Emperor, and seeks vengeance. 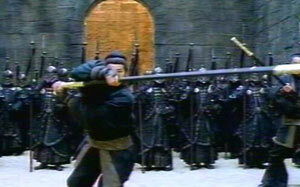 Billed as an Asian "Hamlet", the new movie is a revenge story both eastern and western. But no banquet is complete without invitations for the guests. Zhang Ziyi and Li Bingbing were in heated competition for the female lead. The choice was finally settled, with Zhang Ziyi winning out at the last minute, in hopes of a greater international response. Feng Xiaogang is tight with information. But the off-screen story has already begun. 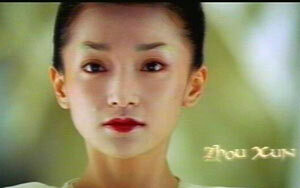 Rumor has it that leads Zhang Ziyi and Zhou Xun were not getting along well. But in interviews, the two excitedly plaster praise upon one another. To tell the truth, or not to tell the truth, that is the question. Heresay continued as shooting wrapped, and post-production began. 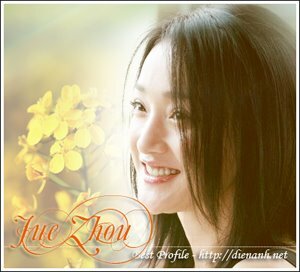 At this moment, the rumor of a love triangle among leads Zhou Xun, Zhang Ziyi and Daniel Wu are causing quite a stir. Fans can't help but wonder if it's just another promotional stunt. On the official "Banquet" website, director Feng writes that "Chinese culture can't be reflected merely by piling up colors". Many see this as a snide swipe at other top directors in the country. To tell the truth, or not to tell the truth, it's not that important. No matter how far the rumors go, "The Banquet" is truly a visual feast. And what really counts is to draw the lion's share of an unforgiving movie market.